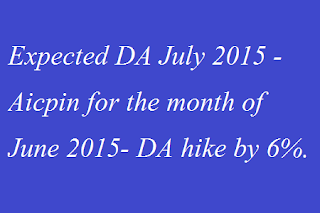 The All-India CPI-IW for June, 2015 increased by 3 points and pegged at 261 (two hundred and sixty one). On 1-month percentage change, it increased by (+) 1.16 per cent between May, 2015 and June, 2015 when compared with the increase of (4) 0.82 per cent between the same two months a year ago. The maximum upward pressure to the change in current index came from Food group contributing (+) 2.35 percentage points to the total change. At item level, Arhar Dal, Gram Dal, Masur Dal, Urd Dal, Groundnut Oil, Mustard Oil, Fish Fresh, Eggs (Hen), Poultry (Chicken), Milk (Buffalo & Cow), Onion, Chillies Green, Ginger, Vegetable items, Petrol, etc. are responsible for the increase In index. However, this increase was restricted by Rice, Mango, Lemon, Sugar, Electricity Charges, etc., putting downward pressure on the index. The year-on-year inflation measured by monthly CPI-IW stood at 6.10 per cent for June, 2015 as compared to 5.74 per cent for the previous month and 6.49 per cent during the corresponding month of the previous year. Similarly, the Food inflation stood at 6.67 per cent against 5.99 per cent of the previous month and 5.88 per cent during the corresponding month or the previous year. At centre level, Quilon reported the highest increase of 15 points followed by Godavarikhani (9 points) and Raniganj (7 points). Among others, 6 points inclease was observed in 4 centres, 5 points in 9 centres, 4 points in Il cenlres, 3 points in 8 centres, 2 points in 15 centres and 1 point in 11 centres. On the contrary, Ghaziabad centres recorded a maximum decrease of 2 points. Among others, I point decrease was observed in 6 centres. Rest of the 10 centres’ indices remained stationary. The indices of 35 centres are above All India Index and other 42 centres’ indices are below national average. The index of Lucknow is at par with all-India index. 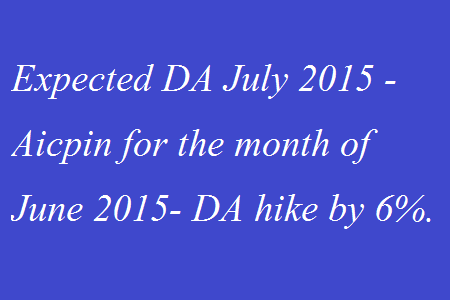 The next index of CPI-IW for the month of July, 2015 will be released on Monday, 31st August, 2015. The same will also be available on the office website www.labourbureau.gov.in. Pension to Ex-Servicemen - PIB News. The complaints regarding incorrect payment of pension, incorrect revision/ underpayment of pension etc. are being received and action is taken to redress the grievances by taking appropriate action in coordination with Pension Sanctioning Authorities & Pension Disbursement Agencies. The Government is considering to implement a system of Central Pension Disbursement Agency (CPDA) to facilitate credit of pension directly to Pensioner’s bank account.The new system is likely to be implemented from the next financial year. For ensuring quick and seamless disbursement of pension to Ex-Servicemen, following projects are undertaken by the Government. Digital life certificate through Jeevan Praman Portal. Digitization of records to enable prompt pension revision in future. Submission of e-Pension claim and issuance of e-PPO. This information was given by Minister of State for Defence Rao Inderjit Singh in a written reply to Shri Satav Rajeev and others in Lok Sabha today. 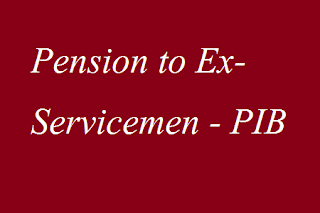 Removal of anomaly, if any, in the pension being given to the various categories of ex-servicemen is a continuous process. Such anomaly is redressed, as and when it comes to the notice of the Government. The policy of “One Rank One Pension” has been adopted by the Government to address the pension disparities. The modalities for implementation of OROP are under consideration of the Government. It will be implemented once the modalities are approved by the Government. A Pension Grievance Cell exists in the Department of Ex-Servicemen Welfare. Grievances received by this Cell are examined and redressed in coordination with the agencies concerned in the matter. A system of holding Pension Adalat is in place to provide a credible forum for redressal of grievances of the defence pensioners. Officers concerned of every organisation involved remain present in the Adalats and the grievances are redressed on the spot. A computerized pension enquiry project “Suvigya” has been developed by the Controller General of Defence Accounts (CGDA). It is an online pension enquiry system which would enable the ex-servicemen to know their entitlements of pension. A pensioners’ grievance cell exists in the Office of Principal Controller of defence Accounts (Pension), Allahabad. This information was given by Minister of State for Defence Rao Inderjit Singh in a written reply to Shri D.P Tripathi in Rajya Sabha on Thursday, 30 July 2015. With due regards, it is submitted that applications from eligible citizens of India are being invited by Ordnance & Ordnance Equipment Factories for filling up the vacancies in Group ‘C’ Industrial Employees (IEs) in the Pay Band of Rs. 5200 – 20200, Grade Pay of Rs. 1800/- plus allowances as admissible to Central Government employees. 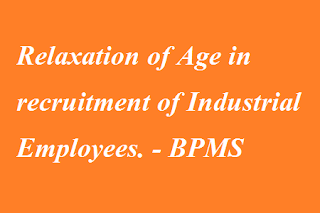 As per Recruitment Rules (SRO) the age of the candidates should be between 18 to 32 years and as per OFB/MOD instructions age relaxation is granted for Ex-Trade Apprentices of Indian Ordnance Factories the period for which they had undergone training under the Apprentices Act, 1961. 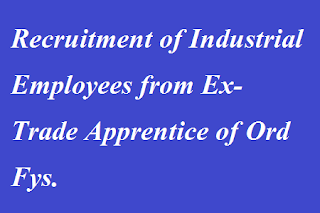 Due to above relaxation, an Ex-Trade Apprentice of general category of Ord Fy gets 03 yrs age relaxation and he is eligible to apply for the Semi Skilled post upto the age of 35 (32 + 03) yrs, whereas a general candidate after passing National Trade Certificate (NTC) from any ITI undertakes his Apprenticeship of 01 year from any Ord Fys may get age relaxation of 01 year and he is eligible to apply for the same post upto the age of 33 (32+01) years only. This discrimination of age relaxation is causing discontentment amongst the Ex-Trade Apprentices of Ord Fys. 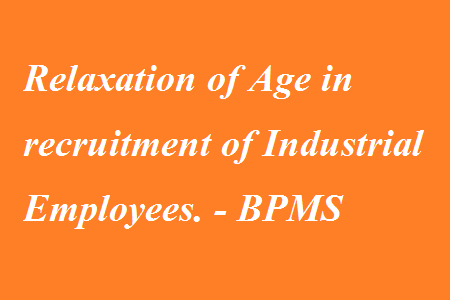 Therefore, you are requested to issue necessary instructions regarding age relaxation for recruitment of Semi-Skilled so that Ex-Trade Apprentices whether they have undergone entire apprenticeship of 03 yrs in Ord Fys or they have undergone apprenticeship of 01 year in Ord Fys after passing 02 yrs NTC from ITI may be equally benefitted and age relaxation may be granted for the period of training obtained from ITI plus apprenticeship in Ord Fys, i.e., eligible upto the age of 32 + 2+1= 35 yrs. Recruitment of Industrial Employees from Ex-Trade Apprentice of Ord Fys. Subject: Recruitment of Industrial Employees from Ex-Trade Apprentice of Ord Fys. “Every employer shall formulate its own policy for recruiting any apprentice who has completed the period of apprenticeship training in his establishment”. 1. The factories shall maintain the batch wise / trade wise seniority list of ex-trade apprentices of their own factory. Marks obtained in the examination for National Apprenticeship Certificate should be determining factor of intra batch/trade wise seniority. As and when vacancies arise and factories are permitted to make direct induction, in the first instance, ex-trade apprentices of their own factories will be considered for recruitment. Only trade test would be conducted to ascertain whether the ex-trade apprentice is fit for the employment. 2. If the factory fails to meet the requirement of candidates for recruitment from the list of their ex-trade apprentices maintained either because of exhausting the list or because of the unsuitability / ineligibility of the ex-trade apprentices in the list, the factory may notify such number of vacancies as required by them to the Employment Exchange. 3. Simultaneously, the factory will have to notify the vacancies in Newspapers / Employment News. While notifying the vacancies to the Employment Exchange or in the Newspaper a mention will be made to the effect that ex-trade apprentices of Ord Fys would be given preference in recruitment. 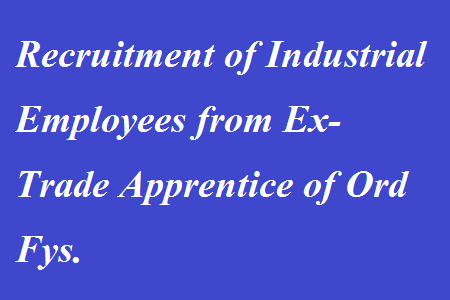 Kindly consider the above view in correct perspective and take appropriate action so that extrade apprentices of Ord Fys may be preferred in the recruitment of Semi Skilled (Tradesman) in OFB organization. The undersigned is directed to say that as per Para 4.2 of this Department’s OM of even number dated 1.9.2008 relating to revision of pension of pre-2006 pensioners w.e.f. 1.1.2006, the revised pension w.e.f. 1.1.2006, in no case, shall be lower than 50% of the sum of the minimum of pay in the pay band and the grade pay thereon corresponding to the prerevised pay scale from which the pensioner had retired. A clarification was issued vide DoP&PW OM of even number dated 3.10.2008 that the pension calculated at 50% of the minimum of pay in the pay band plus grade pay would be calculated at the minimum of the pay in the pay band (irrespective of the pre-revised scale of pay) plus the grade pay corresponding to the pre-revised pay scale. 2. Several petitions were filed in Central Administrative Tribunal, Principal Bench, New Delhi inter alia claiming that the revised pension of the pre-2006 pensioners should not be less than 50% of the minimum of the pay band + grade pay, corresponding to the pre-revised pay scale from which pensioner had retired, as arrived at with reference to the fitment tables annexed to Ministry of Finance, Department of Expenditure OM No.l/1/2008-IC dated 30th August, 2008. Hon’ble CAT, Principal Bench, New Delhi vide its common order dated 1.11.201lin OA No.655/2010 and three other connected OAs directed to re-fix the pension of all pre-2006 retirees w.e.f. 1.1.2006 based on the Resolution dated 29.8.2008 of the Department of Pension & Pensioners’ Welfare and in the light of the observations of Hon’ble CAT in that order. 3. The above order was challenged by the Government by filing Writ Petition No.1535/2012 in respect of OA No. 655/2010 and WP No.2348-50/12 in respect of the three other connected OAs in the High Court of Delhi. The Hon’ble High Court in Its common Order dated 29.4.2013 noted that the DoP&PW had, in the meanwhile, issued an OM No.38/37/08-P&PW (A) dated 28.1.2013 which provided for stepping up of pension of pre2006 pensioners w.e.f. 24.9.2012 to 50% of the minimum of pay in the pay band and grade pay corresponding to pre-revised pay scale from which the pensioner had retired. Hon’ble High Court observed that the only issue which survived was, with reference to Paragraph 9 of OM dated 28.1.2013 which makes it applicable w.e.f. 24.9.2012 instead of 1.1.2006. Hon’ble High Court of Delhi dismissed the Writ Petition No.1535/20 12 along with three other Writ Petitions vide its order dated 29.4.2013. Special Leave Petitions (No.23055/2013 and No.36148-50/2013) filed against the said order dated 29/412013 of the Hon’ble Delhi High Court have also been dismissed by the Hon’ble Supreme Court. 4. Accordingly, in compliance with the above judicial pronouncements, it has been decided that the pension/family pension of all pre-2006 pensioners/family pensioners may be revised in accordance with this Department’s OM No.38/37/08-P&PW(A) dated 28.1.2013 with effect from 1.1.2006 instead of24.9.2012. Further, this benefit has already been granted to the Applicants in OA No. 655/2010 vide OM of even No. dated 26/08/2014 read with OM dated 19/09/2015 following dismissal of SLP (C) No.23055/2013 by the Hon’ble Supreme Court. 5. In case the consolidated pension/family pension calculated as per para 4.1 of O.M. 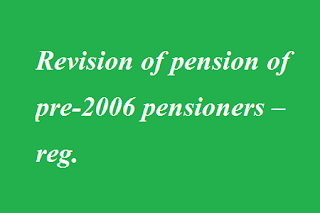 No.38/37/08-P&PW (A) dated 1.9.2008 is higher than the pension/family pension calculated in the manner indicated in the O.M. dated 28.1.2013, the same (higher consolidated pension/family pension) will continue to be treated as basic pension/family pension. 6. All other conditions-as given in OM No. 38/37/08-P&PW (A) dated 1.9.2008, as amended from time to time shall remain unchanged. 7. Ministry of Agriculture, etc. are requested to bring the contents of these orders to the notice of Controller of Accounts/Pay and Accounts Officers and Attached and subordinate Offices under them on a top priority basis. All pension disbursing offices are also advised to prominently display these orders on their notice boards for the benefit of pensioners. 8. This issues with the approval of Ministry of Finance ID Note No. 1(9)/EV/2011Vol.1I dated 24.7.2015. We reproduce hereunder the IBA’s Circular No.1120 dated 25-7-2015 providing clarification on the following issues referred to them. 1. Paternity Leave of 15 days can be availed by the employees within 6 months even if the date of delivery of the child was before 1-6-2015. 2. No leave is required to be taken for the purpose of encashment on LFC. 3. For Re-fixation of Pay for Ex-servicemen employees joined/joining the Banks on and from 1-11-2012, Special Allowance of 7.75% + DA will not be reckoned/included. 4. Special Allowance of 7.75 % + DA thereon will be included for encashment of PL on LFC/retirement. 5. Benefit of advancement of stagnation increment by one or two years for those who passed JAIIB/CAIIB/Graduation after reaching 19th/20th Stage shall be effective from 1st November, 2012. Clause 32 of the X Bipartite Settlement provides the benefit of Paternity Leave w.e.f. 1.6.2015 to male employees with less than two surviving children for 15 days during his wife’s confinement and may be combined with any other kind of leave except Casual Leave. The leave may be availed upto 15 days before or upto 6 months from the date of delivery of the child. Clarifications: The leave may be granted to an employee even where the date of delivery of the child was prior to 1.6.2015, provided, however, that the leave is availed within six months from the date of delivery. Further, the leave shall be sanctioned 15 days before the delivery or up to 6 months after the delivery. Clause 19 (iv) of IX Bipartite Settlement dated 27.4.2010 provided that an employee encashing the facility of Leave Fare Concession shall proceed on leave for a minimum period of one day. 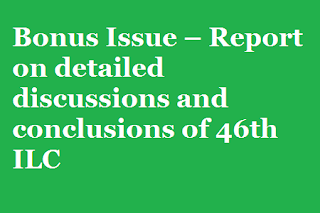 Clarifications: Clause 19 (iv) of X Bipartite Settlement dated 25.5.2015 does not have this provision and hence with effect from 1.6.2015, employees may be allowed the facility of encashing of Leave Fare Concession without the requirement of availing Leave for this purpose. 3. Treatment of Special Allowance for fixation of Pay for Ex-Servicemen re-employed in Banks: Under Clause 9 of the X BPS, Special Allowance at the rate of 7.75% of the Basic Pay with applicable DA thereon will be paid w.e.f. 1.11.2012. 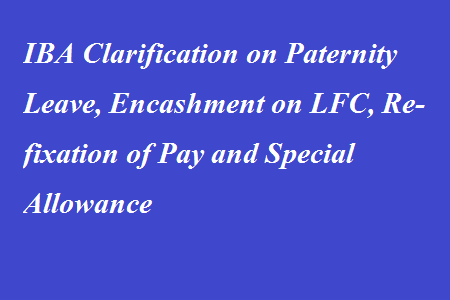 Clarification: Queries have been received as to whether the same is to be reckoned for the purpose of encashment of PL on LFC/retirement, Overtime, and while pay fixation of Exservicemen joined the service of the Banks on or after 1.11.2012. 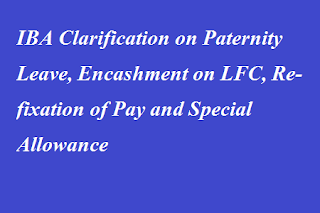 It is clarified that the Special Allowance is to be reckoned at the time of PL encashment on LFC/retirement, the same shall not be reckoned for the purpose of fixation of pay of Ex-servicemen who are remployed in Banks on or after 1.11.2012. 4. Adjustment/advancement of stagnation increment to employees who acquire JAIIB/CAIIB/ Graduation: Clause 11 of X BPS dated 25.5.2015 provides that in case where the non-subordinate employees as on the date of this Settlement, has already acquired JAIIB (Part-I) or CAIIB (Part-II)/ Graduation after reaching maximum of the scale of Pay (in case of JAIIB/ CAIIB/ Graduation) or after reaching 19TH stage of scale of Pay (in case of CAIIB/Graduation), and has not earned increment(s), otherwise entitled on account of acquiring such qualification, when there were no increments to provide in the scale of pay of those employees, the stagnation increment in such cases may be advanced by one year or two years as the case may be. Clarification: Non-subordinate employees who acquires such qualification after reaching the 19th or 20th stagnation, their next immediate stagnation increment may be advanced accordingly by one/two years as the case maybe, w.e.f. 1.11.2012 or the actual date of such advancement whichever is later. Member banks may please be guided as above. 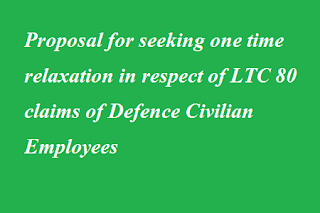 Proposal for seeking one time relaxation in respect of LTC 80 claims of Defence Civilian Employees. (ii) Vide DoP&T F.No. 31011/4/2007-Estt (A), Dated 30.04.2012 the Air travel relaxation under LTC for NER was extended for 02 yrs from 01.05.2012, i.e., applicable upto 01.05.2014 and vide DoP&T F. No. 31011/2/2003-Estt.A-IV, dated 15.06.2012 the Air travel relaxation under LTC for J&K was extended for 02 yrs from 18.06.2012, i.e., applicable upto 18.06.2014 whereas this order grants the relaxation for air travel w.e.f. 26.09.2014. There were some of the employees who have travelled by Air under LTC in the intervening period, i.e., 01.05.2014 / 18.06.2014 and 26.09.2014 in anticipation of extension of such relaxation as per prevailing practice. To mitigate the financial hardships of such employees, the DoP&T O.M. No. 31011/ 3/ 2014-Estt. (A-IV), dated 26.09.2014 should have retrospective effect, i.e., 01.05.2014. (iii) Some of the defence civilian employees while availing LTC by Air to destinations like A&N Islands, J&K and NER, did not follow the instructions regarding purchase of their air tickets only from the booking counters/websites of Air India or from the Authorized Travel Agents [M/s Balmer Lawrie & Co, M/s Ashok Travels & Tours and IRCTC] and their LTC claims are not being allowed. Hence, one time relaxation is required to settle these cases. Now, Min of Defence is considering the case (iii) and invited the details from concerned authorities. Hence, all are requested to forward their details through proper channel in given format only. 2. The DoP&T have communicated vide their letter No.31011/6/2015-Estt.A IV dated 1st July addressed to JCM, National Council, that it would not be feasible to relax the LTC rules as a one-time measure. However, cases of individual hardship as recommended by Ministries/ Departments would be considered on a case to case basis. 3. Accordingly, it is proposed to take up the matter with the DoP&T for a decision on the LTC claims submitted by the defence civilian employees where the air tickets have not been purchased by these employees in accordance with the Government instructions. 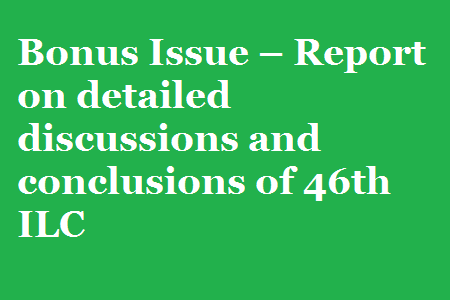 It is requested that the details of such cases may please be furnished in the enclosed proforma latest by 17 Aug 2015, along with views/comments, so that a consolidated proposal could be sent to the DoP&T for consideration of one time relaxation. 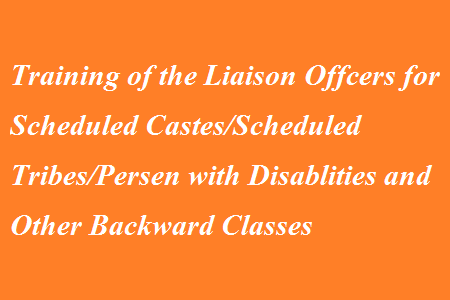 Subject: Training of the Liaison Officers for Scheduled Castes/Scheduled Tribes/Persen with Disablities and Other Backward Classes. The undersigned is directed to say that the instructions issued by this Department provide that every Ministry/ Department shall designate two Separate officers, atleast of the level of Deputy Secretary, as Liaison Officers - one for Scheduled Castes/ Scheduled Tribes/ Persons with Disablities and another for Other Backward Classes. Similar instructions exist in respect of under the Ministry/Department. The Liaison Officers play an important role in proper implementation of policy of reservation in services. But many a times, the Liaison Officers fail to play their role effectively in absence of proper training on the subject. programme has been scheduled in October, 2015, the details of which are available on the website of ISTM at http://www.istm.gov.in. It is, requested that the Liaison Officers may be nominated for the programme so that they can be familiarised With their duties and responsibilities. 4. All Ministries/ Departments etc. are requested to issue necessary instructions in this regard. 431 . Shri Devender Goud T.
(e) if so, action taken on the above recommendation so far? (a) to (c): An Expert Committee set up in 1993 recommended for income criteria of Rs. 1 lakh per annum. The Expert Committee observed that since the Rupee value is bound to undergo change, the income criteria in terms of Rupees will accordingly stand modified with the change in value. The modification exercise may, normally speaking, be undertaken in every three years but if the situation demands, an interregnum may be less. Keeping in view the recommendations of the Expert Committee, Government of India decided to constitute a Review Committee to consider the issue of modification of income criteria and circulated a Cabinet Note in March, 1999. The Cabinet approved constituting the Review Committee in its meeting on 27.11.2001. With the approval of the Hon’ble Prime Minister, the work relating to review the income criteria to exclude cream layer was entrusted to the National Commission for Backward Classes. The National Commission for Backward Classes (NCBC) submitted its report in January, 2004. The income criteria were revised on 9.3.2004. Hence, there was no delay in effecting the first revision of income criteria. NCBC was requested to review in December, 2007 and they submitted their report in July, 2008. After inter-ministerial consultation and the approval of Cabinet, the second revision was effected in October, 2008. Again, in July 2011, NCBC was requested to review the same and they submitted a report in September, 2011. The Cabinet approved on 16.05.2013 the revision of income criteria from 4.5 lakhs to 6.00 lakhs and, accordingly the 3rd revision was effected w.e.f. 16.05.2013. (d) & (e): The recommendation of the National Commission for Backward Classes in this regard was received and the same has been sent to Department of Personnel & Training. National Informatics Center has a nation wide net work providing a host of services over the network. One of the critical services being provided is the e-mail service. They are in the process of rationalizing the myriad of e-mail addresses offered by NICNET. The growth of the net work services had been going on at an explosive rate and the time has come for stream lining of the e-mail services by adopting a single virtual e-mail server for the whole nation and achieving address resolution in such an environment. The present Version 1.0 of the “NIC Policy on e-mail address” is a step in that direction. This policy is applicable to all the users of the NICNET services. 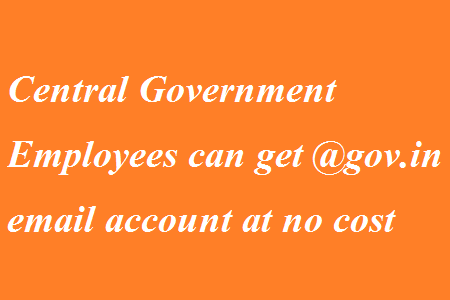 -If you are a government employee (central or state) you can take a @Gov.in id. This id will be assigned to you at no cost. -Individuals can fill up the Single user form(Click here) State/Ministries/Departments can fill out the bulk user form if they wish to get multiple number of user’s under their domain. Application form should be complete in all respect. -Submit the filled application form to your respective NIC Coordinator in the NIC cell in your respective State/Ministry/Department. -If you have a website of your respective department and wish to get the id’s created as userid@(website name) , the same can be assigned to you. 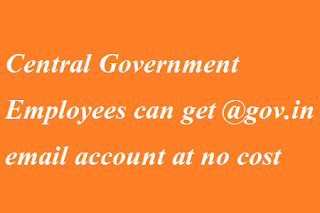 -Accounts will be created as per the availability of the preferred Email ID. In case the preferred Email id is not available, NIC will assign the id as per the Email address policy . – The credentials will be sent to registered mobile number of the user. – When the user logins for the first time, an update “profile page” will be shown. Users are requested to kindly fill the same. – User will be required to change the password on the first login . Please follow the password policy due to security reasons. – For any query/assistance call us on 1800-111-555. Srinagar, the 22nd July, 2015. "41-A. (1) Subject to the provisions of these rules, a woman employee may be granted child care leave by an authority competent to grant leave for a maximum period of 730 days during her entire service for taking care Of her two eldest children whether for rearing or for looking after any Of their needs, such as education, sickness and the like. (b) a child below the age Of twenty-two years with a minimum disability of forty per cent. 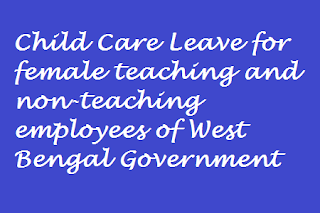 (3) During the period of child care leave, a woman employee shall be paid leave salary equal to pay drawn immediately before proceeding on leave. (4) Child care leave may be combined with leave Of any other kind. (5) Notwithstanding the requirement of production of medical certificate leave of any kind due and admissible (including Commuted Leave not exceeding sixty days and Leave Not Due) up to a maximum Of one year, if applied for, be granted in continuation with Child Care Leave granted under sub-rule (1). (6) Child Care Leave shall not be debited against the leave account. ( i) Child Care Leave cannot be claimed as a matter Of right. Under no circumstances can any employee proceed on Child Care Leave without prior proper approval of the leave sanctioning authority. (ii) It shall not be granted for more than three spells in a calendar year. (iii) It shall not ordinarily be granted during the probation period. However, in case of certain extreme situations where the leave sanctioning authority is satisfied about the need Of child care leave to the probationer, the leave may be sanctioned provided that the period for which such leave is sanctioned is minimal. (iv) The leave is to be treated like the Earned Leave and sanctioned as such. These provisions shall take effect from the date of issue of the notification." 2. At the very outset, the chairman of the committee welcomed all the representatives. He observed that the issue of bonus has been pending for long. (iii) Decisions to pay Minimum Bonus without Linking to loss when the performance indicator satisfy grant of bonus. (i) The Trade Unions were of the view that all the ceilings under the payment of Bonus Act. 1965 i.e. eligibility ceiling, calculation ceiling and maximum percent of bonus payable need to be removed. They further expressed that they would like to reiterate the stand taken by them in the tripartite meeting held on 20 October, 2014. (ii) The Employers, representatives were of the view that total removal of various ceilings may lead to spurt in industrial relation issues. They observed that while making any change in the payment of Bonus Act, 1965 productivity of the workers and paying capacity of the employers have to be taken into account. They further observed that they are not in favour of indexation of cost of living for the purpose of ceiling and bonus calculation. The term ‘Employee’ should be substituted by the term ‘workman’ as defined under the industrial disputes Act. The present system of prescribing limits both for eligibility and calculation should be retained. (iii) The State Government representatives were of the view that minimum, limit of bonus (8.33%) may continue. Regarding limits with regard to calculation and payment ceiling it was stated that they had no comments to offer. They further observed that distinction between statutory bonus and productivity linked bonus is quite relevant in this regard. (iv) The State Government representatives also suggested that the central Government may consider notifying the limits for eligibility of bonus and calculation of bonus through and administrative process based on tripartite mechanism rather then legislative process every time. Appropriate amendment to the payment of Bonus Act, 1965 may have to be carried out accordingly. (d) if so, the details thereof and the outcome in this regard? 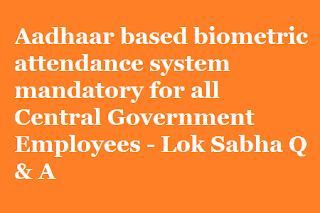 (a) and (b): The Government has decided to use an AADHAR Enabled Bio-metric Attendance System (AEBAS) in all offices of the Central Government, including attached / sub-ordinate Offices, in India. There is no change in the instructions relating to office hours, late attendance etc. 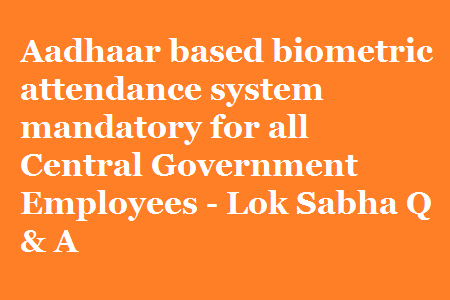 Biometric attendance system is only an enabling platform to mark attendance. (c) and (d): Details of such assessments are not required to be centrally maintained. It is a priority of the Government to work towards enabling social security protection for citizens, especially from the economically weaker and vulnerable sections. In accordance with this priority, the Pradhan Mantri Jeevan Jyoti Bima Yojana (PMJJBY), the Pradhan Mantri Suraksha Bima Yojna (PMSBY) and Atal Pension Yojna (APY) were recently launched to address the areas of life and accident risk, and old age income security. The Rashtriya Swastha Bima Yojana (RSBY) is also operational to provide health insurance cover to persons living below the poverty line etc. The Government would continue to work towards the furtherance of these objectives. Further, the Public Sector General Insurance Companies (PSGICs) have specially designed policies for senior citizens at the entry level in the age bracket of 60 to 80 years namely “Varishtha Bima Yojana” by National Insurance Company Ltd., “Health of Privileged Elderly (HOPE)” by the New Oriental Insurance Company Ltd. and “Senior Citizens Mediclaim Policy” by the New India Assurance Company Ltd and United India Insurance Company Ltd. As in the case of regular Mediclaim insurance policies, there is no age limit for renewals of these policies and can be continued throughout the life-time of the insured. 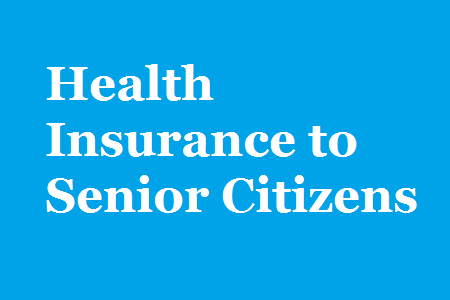 In Budget Announcement, 2015 Hon’ble Finance Minister had proposed the creation of a Senior Citizen Welfare Fund through use of certain unclaimed amounts under various specified schemes. The Senior Citizens Welfare Fund Act has been passed along with the Finance Act, 2015. The scheme Rules for Senior Citizen Welfare Fund are under preparation. Since the opening of the private sector participation in defence sector, a total of 287 Industrial Licenses have been issued till date. Further, the FDI amounting to US$ 5.02 million has been received in the defence industry sector so far. The information relating to actual investment made in respect of Industrial Licenses is not available. o The Defence Products List for the purpose of issuing Industrial Licences (ILs) under IDR Act has been revised and most of the components, parts, sub-systems, testing equipment, production equipment have been removed from the List, so as to reduce the entry barriers for the industry, particularly small & medium segment. o Process of applying for Industrial License (IL) and Industrial Entrepreneur Memorandum (IEM) has been made completely online and this service is now available to entrepreneurs on 24X7 basis at eBiz website without human interface. o Guidelines have been issued to streamline the processing of applications for grant of extension of validity of Industrial License. o The initial validity of the Industrial Licence granted under the IDR Act has been increased from 3 years to 7 years with a provision to further extend it by 3 years on a case-to-case basis. o Partial commencement of production is treated as commencement of production of all the items included in the license. o The ‘Security Manual for Licensed Defence Industry’ has been issued. With the issue of the Security Manual, the requirement of affidavit from the applicants, has been done away with. o Restriction of annual capacity in the Industrial License for Defence Sector has been removed. o Licensee has been allowed to sell the defence items to the Government entities under the control of MHA, PSUs, State Governments and Other Defence Licensee companies without approval of Department of Defence production. o Application Forms for Industrial License & Industrial Entrepreneur Memorandum have been simplified. o The advanced version of NIC Code (NIC 2008) has been adopted, which is a highly contemporary industrial classification. o To establish a level-playing field between Indian private sector and the public sector, the anomalies in excise duty/ custom duty have been removed. As per the revised policy, all Indian industries (public and private) are subjected to the same kind of excise and custom duty levies. o To promote the participation of private sector, particularly SMEs for defence manufacturing, Outsourcing and Vendor Development Guidelines for DPSUs and OFB have been formulated and circulated to them. The guidelines mandate that each DPSU and OFB to have a short-term and long-term outsourcing and vendor development plan to gradually increase the outsourcing from private sector including SMEs. The guidelines also include vendor development for import substitution. o The Standard Operating Procedure (SOP) for the issue of No Objection Certificate (NOC) for export of military stores has been revised and put on the website. Under the revised SOP, the requirement of End User Certificate (EUC) to be countersigned/ stamped by the Government authorities has been done away with for the export of parts, components, sub-systems etc. o The list of military stores has been finalised and has been put in the public domain to make the process transparent and unambiguous. The process of receiving applications for NOC for export of military stores and for issuing NOC has been made online to reduce the delay and to remove human interface in the process. o The FDI policy for the defence sector has been reviewed and as per the revised policy, the composite foreign investment upto 49% is allowed through Government route (FIPB) and beyond 49% with the approval of the Cabinet Committee on Security (CCS) on case-to-case basis wherever it is likely to result in access to modern and state-of-the art technology in the country. Besides, the restrictions such as single largest Indian shareholder to hold at least 51% equity and complete restriction on Foreign Institutional Investor (FII) existing in the earlier policy have also been removed to facilitate investment in the sector. o Recognising the need for promotion of defence exports to make the Indian defence industry economically sustainable, Defence Exports Strategy outlining the various steps to be taken, has been formulated and is put up in public domain. o Preference to ‘Buy (Indian)’, ‘Buy & Make (Indian)’ & ‘Make’ categories of acquisition over ‘Buy (Global)’ category, thereby giving preference to Indian industry in procurement. This information was given by Minister of State for Defence Rao Inderjit Singh in a written reply to Shrimati Rama Devi in Lok Sabha today. 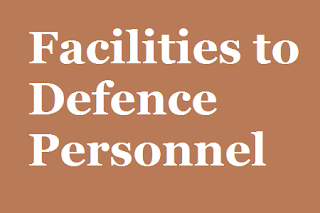 Pay and allowances and other benefits / facilities are provided to the Armed Forces Personnel as per Government orders issued from time to time. Apart from pay, the Armed Forces Personnel deployed on borders in tough conditions, are being given certain compensatory allowances i.e. Field Area Allowance, Siachen Allowance, High Altitude Allowance, Island Special Duty Allowance, etc. and special clothing and ration as per extant rules. Improvement of facilities, service conditions, pay and allowances of the Armed Forces personnel is also a continuous process. Further, provisioning of facilities to soldiers is a command function. 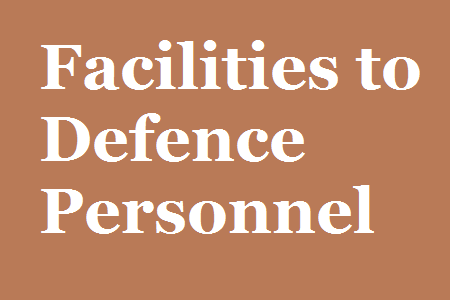 It is ensured that all soldiers are provided facilities as per their entitlements. However, if in any case it is found that this is not done, suitable action is taken if any personnel is found to be erring. This information was given by Defence Minister Shri Manohar Parrikar in a written reply to Shri Gopal Shetty in Lok Sabha today. Government is aware that Ex-Servicemen Associations have been agitating for implementation of One Rank One Pension (OROP) Scheme from 2008 onwards. The policy of “One Rank One Pension” has been adopted by the Government to address the pension disparities, in the budget 2014-15. The modalities for implementation of OROP are under consideration of the Government. It will be implemented once the modalities are approved by the Government. This information was given by Defence Minister Shri Manohar Parrikar in a written reply to Dr. Shashi Tharoor and Shri Ninong Eringin LokSabha today. (a) This HQ letter No 96410/Q/DDGCS dated 15 Apr 2011. 2. Due to budgetary constraints, the car sanction was centralised in Jan 2012. However, due to the improved Budgetary allocations, the centralised Car Sanction by CS Dte on behalf of the QMG is being discontinued with effect from 20 Jul 2015. Individual(s) will process the car sanction through the CSD Depots as hither-to-fore prior to Jan 2012. The new indent form to be submitted to CSD Depot is att at Appx and also can be downloaded from www.csdindia.gov.in/www.indianarmy.nic.in. Guidelines for purchase of four wheeler from CSD is also enclosed. 3. The countersigning authorities and CSD Depots will exercise due diligence while scrutinising the documents to verify the authenticity of applicant and ensure that only eligible category avail this facility as enunciated vide our letter No 95286/SG/Q/DDGCS dated 29 Apr 2015 (Copy att). The onus of correctness of application will be on both applicant and countersigning authority to prevent any misuse/malpractice of this facility. Each application will be vetted by CSD Depot for orrectness in all respects. In case any malpractice/misuse is noticed, strict disciplinary action will be initiated. 4. This Letter be given vide publicity inculuding display in the notice boards in Station HQs Zila Sainik Boards and URCs for information of all concerned. iv) It may not be granted for less than 15 days in a spell. vii) Child Care Leave should not ordinarily be granted during the probation period except in case of certain extreme situations where the leave sanctioning authority is fully satisfied about the need of Child Care Leave to the probationer. It may also be ensured that the period for which such leave is sanctioned during probation is minimal. viii) Other terms and conditions as applicable to sanctioning Earned Leave shall be applicable in the matter of sanctioning Child Care Leave. ix) An account for the purpose shall have to be maintained under proper attestation by the leave sanctioning authority. Filling up the posts of Loco Inspectors. 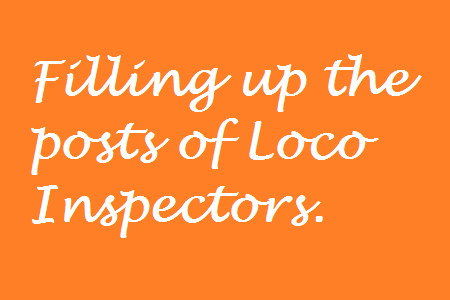 SUB: Filling up the posts of Loco Inspectors. While reviewing the running staff and supervisors’ position, it is observed that about 27% of Loco Inspectors (LIs) are lying vacant as on 01.04.2015. Railways which are having vacancies more than IR average of 26.3%, are ECR (52.3%), NCR (39.1%), WR (33.1%), NFR (33.0%) and NR (29.2%). As the vacancies of LIs are adversely affecting the smooth train operation in Zonal Railways, it is advised that all Zonal Railways should take necessary action expeditiously for filling up of the vacancies of LIs and Should submit a report on action taken in this regard, to this office by 17.08.2015.